CPTP115: Are you an Imposter Piano Teacher? Do you ever feel imposter syndrome? This is the feeling of being a “fake”. Feeling like others around you in your profession have more skills, more knowledge or even secrets that you don’t know about. Many new piano teachers, or even ones with years of experience, can feel a bit insecure in their own teaching abilities. Perhaps it’s because they don’t have a piano pedagogy degree, or maybe they’re just comparing themselves to others and it seems like they come up short. I hear some version of imposter syndrome from piano teachers all the time, and I know I’ve felt it myself. More teachers than you realise feel exactly this way. Which is why today I’m going to share with you some ways you can overcome imposter syndrome as a piano teacher. 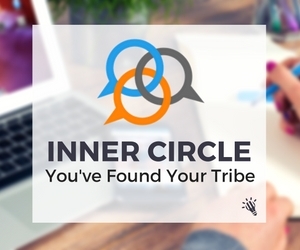 Inner Circle Members: You can access your PDF download now from the Resource Library. Not a member? Copy this coupon code to use when you see the “Coupon Code” box: PIANOPODCAST. Whether you’re at the gym, on the bike or in the car, I know that you and your students will get lots out of what you learn in the long run. Just make sure you try out some of the ideas before they get lost in the business of your next lessons! Also, kindly consider taking the 60-seconds it takes to leave an honest review and rating for the podcast on iTunes or on my Facebook page. Reviews are extremely helpful when it comes to show’s ranking and you can bet that I read every single one of them personally. Have you experienced imposter syndrome? How did you overcome this feeling? Why did you feel that way in the first place?